Filming colours in Brighton_16, originally uploaded by nisuspi. Today was mostly spent following a film crew and flashmob around brighton waiting for this moment. They were shooting a promo for a club night, Playgroup, inspired by the Hindu festival of colours, Holi. 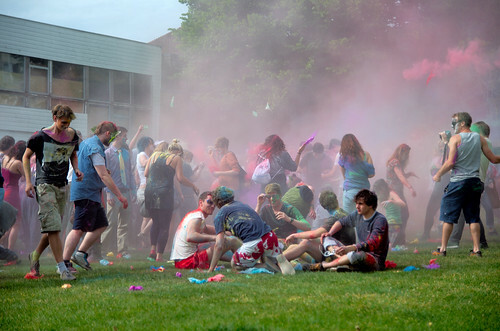 It involves throwing dye powder at each other.